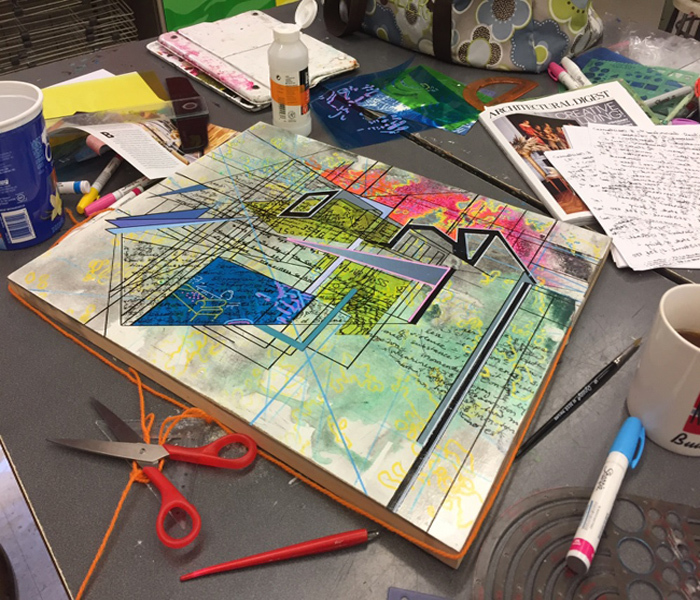 Project Description: The integration of art as communication in conjunction with the written word shapes a new language that can be a powerful tool in providing a safe outlet for learners to use their voice both visually and verbally. 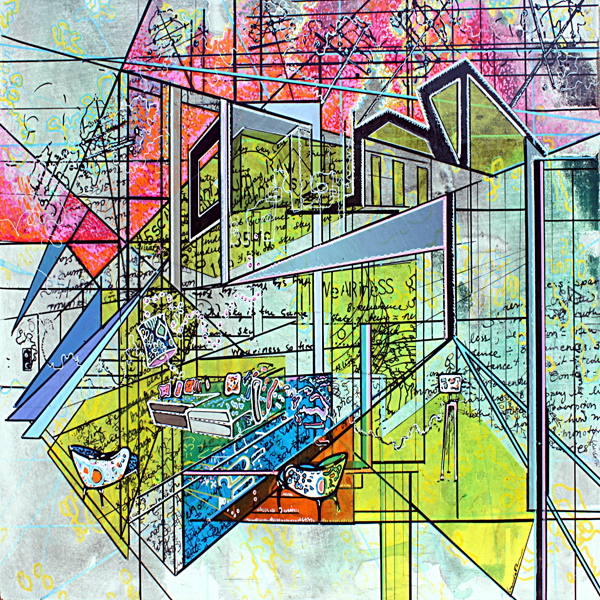 Throughout the Integration of Art and Text Unit, the art elements and principles, in addition to the selection of a color scheme is demonstrated and emphasized in order to organize and provide options for learners in communicating their concept of a sense of place. 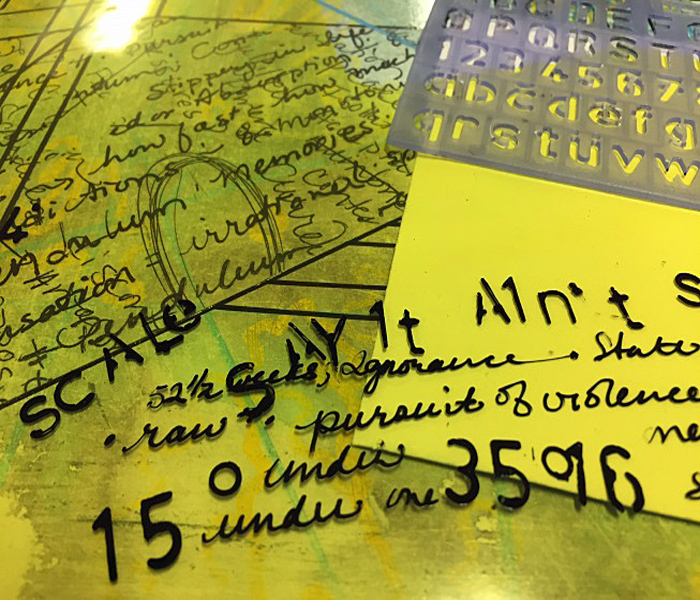 Grafix Clear-Lay and Dura-Lar is utilized so students may have the freedom of journaling and at the same time keep an element of anonymity as one may cut/slice selective areas in their writings in the mixed media of the Integration of Art and Text studio project. For this lesson students will use incorporation of text pulled from a creative flow chart journaling. The creative flow chart includes written reflections broken down into: sense of place: structured written phrases, music, poetry, literature. These student responses are directly written on Grafix Dura-Lar and Grafix Clear-Lay Assorted Colors with an oil based paint marker. 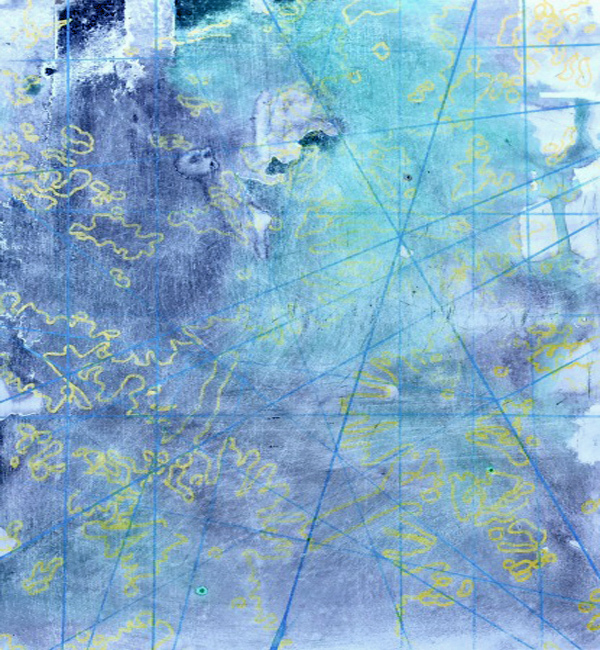 Students paint a background on either a canvas or canvas board. Students will use images they selected from their creative flow chart sketches. 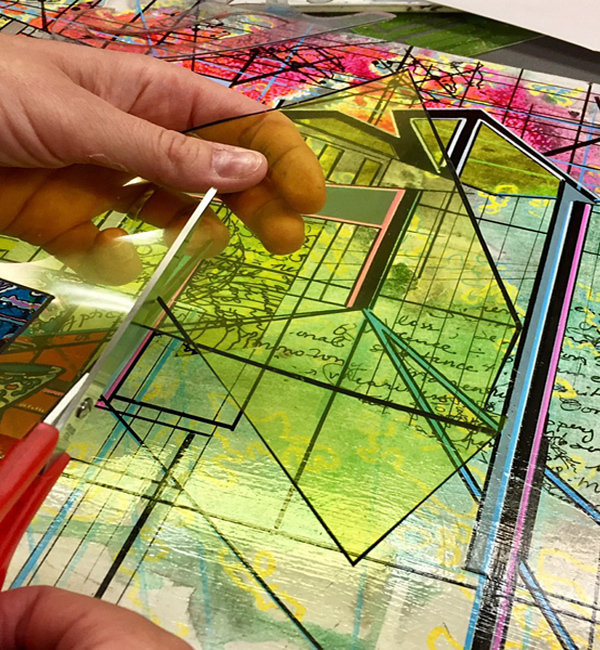 Once learners complete their design on the canvas board, one may start cutting and attaching selected text and images drawn on Grafix Dura-Lar and Grafix Clear-Lay Assorted Colors. Students may have the option (but not required) of including Xerox, photocopy transfers. Grafix Dura-Lar and Grafix Clear-Lay Assorted Colors are attached to canvas board with a gloss varnish. Place a layer of gloss varnish on selected area where one is placing Grafix Dura-Lar and Grafix Clear-Lay Assorted Colors. Once the gloss varnish has dried, coat the top surface of the newly attached sections with varnish.